I keep forgetting about how damn huge some drones are. Most people think they are tiny, like toy planes. 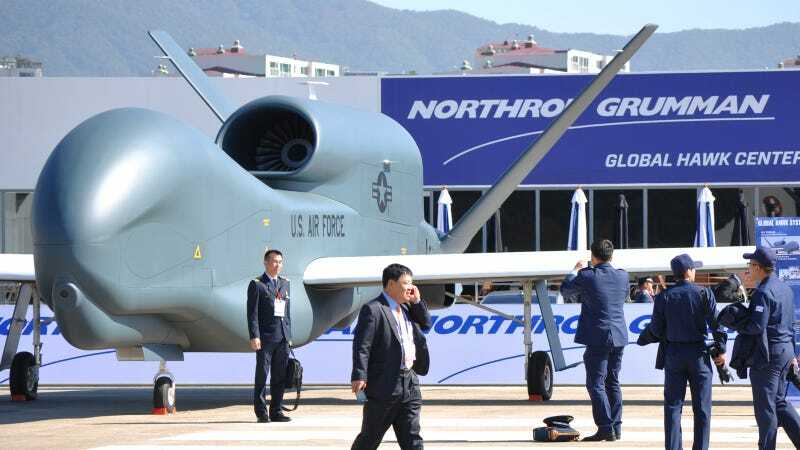 As this photo of a Northrop Grumman RQ-4 Global Hawk shows, they are actually big. Big as in pretty damn huge. This image was taken at last year's Seoul Air Show, in South Korea. I have seen one of these live at the Dubai Air Show and I was truly impressed. They are indeed gigantic.